Note: If it has been over 6 months since you completed your Class/Pool training the you must call the store before you purchase this course. Please select the A group class first, if it is full you may then select the B group. Cancellations made less than one week prior to the aquarium dives make it extremely difficult to fill the opening(s). We will do our best to fill the opening(s) however, should we not be able to you will forfeit your fee. 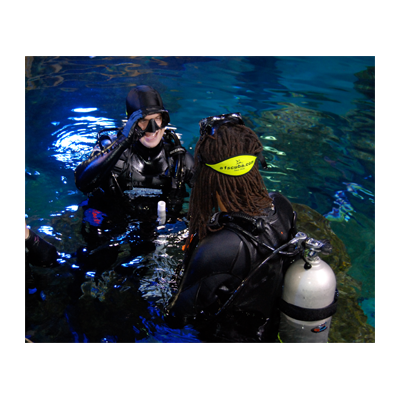 Be the first to review “Open Water Dives 1 / 2 at the Aquarium” Click here to cancel reply.